If you want to become a famous fashion influencer online, you’ll need to learn how to start a fashion blog first. The process for how to create a fashion blog doesn’t really begin until after you’ve got the basics out of the way. Once you’ve registered a domain name and have your site design under way, you’ll want to take action ASAP to establish yourself as an aspirational figure and authority in the fashion industry. This basic step-by-step guide will set you up to succeed in fashion blogging if you’ve got what it takes to stand apart from the crowd and gain more readers. Start a Fashion blog - The first step is having a website. It's really hard to come up with a good brand name (most are taken) and you could spend months trying to think of one (that you could have been blogging). So I would recommend using your name. In fashion specifically, most blogs use the owner's name. Next, it's time to choose a host and setup your website. I've got an entire guide about how to do it. If you want to get started quickly, just sign up for the #1 platform for beginners – Hostgator. Determining how to make a fashion blog theme succeed is often a matter of focusing intently on aesthetics and content. Fashion isn’t as vapid as critics say—it’s a legitimate way of expressing a creative urge and the people who are truly gifted with style and design have a deep understanding of the history and social impact that clothing can have. Still, looks are important, so every element of your online presentation—your visual brand—has to be as stylish and carefully considered. As a fashion blogger, everything about your online presence needs to be curated and refined, which takes time. Don’t just post whatever comes to your mind. Think about it and make sure it fits in with your overall visual brand. From the photos you choose for your user pic avatars to the fonts you use to write your blog posts, you’ll want to make sure everything looks as fashionable and sleek as possible within the confines of your brand identity. What kind of style do you want to portray? Are you a jeans-and-a-leather-jacket kind of person or an all-black-everything type? Find background colors, header images, font styles, and icon graphics that make sense for your style. Don’t just choose something you like. Choose what makes sense for your identity. Additionally, it’s important to make sure the visual presentation of your social accounts (Instagram in particular) is consistently stylish and high quality. Learn some photo styling techniques and make sure every photo you post, whether it’s on your blog or your social media, is as professional-looking as possible. This may mean investing in a better camera and even a photo light to really make everything look perfect. If you can’t afford that right now, at least try to make the most of what you’ve got by taking pictures in plenty of natural light and, if you’re photographing indoors, cleaning up anything in the background behind you. A pile of dirty laundry in the background of a poorly lit mirror selfie isn’t going to set you apart in the right way as a fashion blogger. Fashion, beauty, and other topics related to style have built up large communities online and if you want to attract an audience, you’ll need to make nice with at least some of the people in this realm. There are two primary ways to do this: Social media and forum sites. Fashion social media is largely focused on Instagram and while some other social networks are relevant for fashion fans (including Snapchat), Instagram is the best place to start if you don’t already have a following. 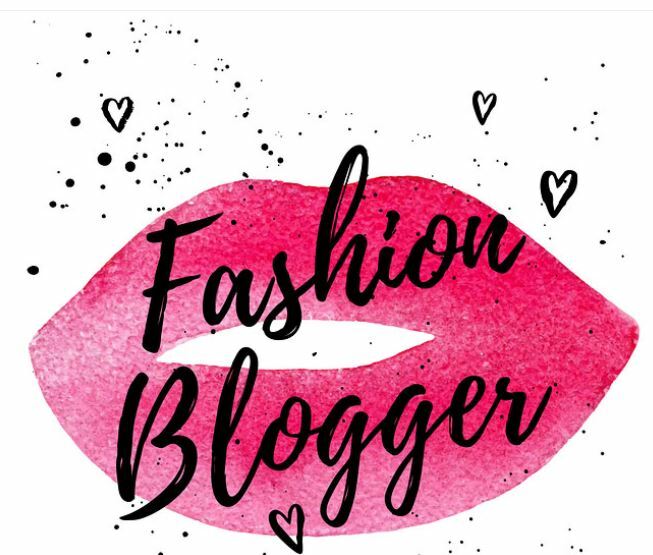 Follow a bunch of fashion bloggers, models, designers, stores and other influential figures in the fashion realm to keep your finger on the pulse not only of the latest trends but also of what your fellow fashionistas are interested in online. This is important research, but it’s not the only factor in social media’s importance for promoting a fashion blog. You’ll also want to get people to follow your own account and take notice of what you post. Put a link to your blog in your bio and make sure that you post images from your blog posts on your social accounts along with a link and a handful (but not too many) of relevant hashtags. That’s step one in gaining fast popularity as a fashion blogger. Step two is making a name for yourself on forum sites. This isn’t quite as important as it once was because social media has overtaken the way so many people socialize online. Still, it can pay to get involved more directly in discussions, answering questions, and otherwise building relationships outside of social media. Reddit is always a good choice for finding active communities of like-minded people and if you can find a fun fashion community there, you can ask members about other ways they meet up with like-minded people online and find a few places where you feel comfortable with discussions. Comments sections of fashion blogs you like are also a good place to get started. Just make sure the name you use reflects the name of your blog in some way so you can make all of these efforts part of a wider branding push. How do fashion bloggers make money? 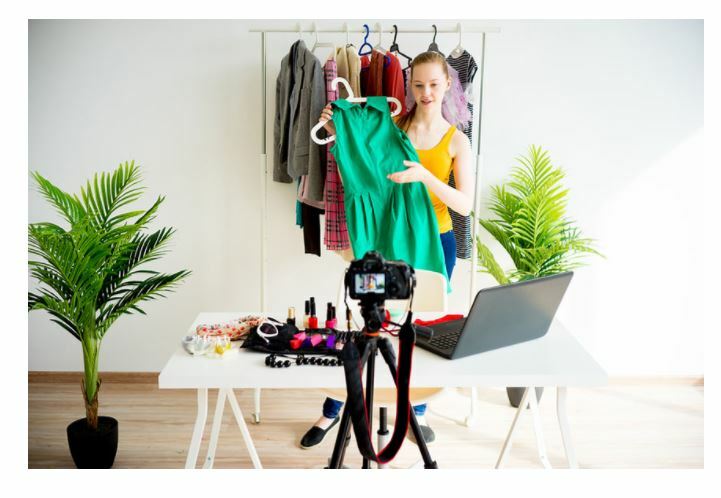 Sponsored posts, affiliate marketing and other influencer marketing elements are most fashion bloggers’ bread and butter. When considering how fashion bloggers make money, it’s necessary to accept that most successful bloggers probably end up endorsing something they don’t really like or wouldn’t actually use at some point. Some fashion bloggers specifically refuse to do this and insist on only associating their name with a product they really like, but whether or not you take this moral high road is up to you. The more successful you are, the pickier you’ll be able to be, so if you want to bring integrity to your fashion blogging approach, you may want to put more emphasis on building your audience than making money at first. Other than sponsorships, fashion bloggers can make money in a few different ways. There’s the standard ad revenue and affiliate linking to your blog, but you can go further than that, even with a small audience. Make yourself available for personal styling and fashion consulting. People who follow your blog and like your style will likely get in touch to obtain these services if you make them clear. If you brand yourself as a “stylist” rather than merely a “blogger” or “influencer,” you give yourself a built-in side job that can get you some serious clout in the fashion world. This is part of the reason why building relationships is so important. If you can work with other up-and-coming influencers (or, ideally, those who are more established than you), you can collaborate on photo shoots. Get to know models, designers, photographers, makeup artists, hair stylists, and other style influencers. Take initiative and arrange a shoot with people who live near you. Everyone can post the best pics to their social media accounts and credit everyone who was involved. When you build up a big enough portfolio, you can start freelancing as a stylist and getting bigger and better jobs. This may eventually lead to a job as a celebrity stylist or the offer to create a clothing line with a designer or store.